Today’s launch of Apple Pay in Canada with American Express only has non-cardholders scratching their heads (or signing up quickly!). This is in contrast to Visa and MasterCard, where cards are issued by banks themselves, which means there are potentially too many ways to verify a customer’s identity for Apple Pay. Bailey explained these are the same reasons why American Express is the launch partner for Australia, coming later this week. Back in April, the Wall Street Journal reported Canada’s ‘Big 6’ banks had banded together to leverage their discussions with Apple, in regards to transaction fees and “security authentication.” The Globe and Mail reported last month Apple skipped Canadian banks “because negotiations were dragging,” claim sources. @BMO @RBC @TD_Canada @scotiabank Hurry up and support Apple Pay you stingy bastards. 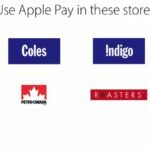 @TD_Canada and @BMO Also confirm no Apple Pay support at present. I think I might be getting an AMEX at this rate! While TD Canada Trust’s recent website leak may point to a future launch, at this point American Express is basking in the light as the sole Apple Pay partner. ComScore’s recent 2015 Canada Digital Future in Focus report noted 38 percent of smartphone users in Canada are running iOS. Apple Pay is supported on the iPhone 6 or newer, plus any Apple Watch paired with an iPhone 5 or later. For in-app payments, Apple Pay works on the iPad mini 3/4, iPad Air 2 and iPad Pro. In the meantime, our banks believe their proprietary and complex mobile payment solutions tied to wireless carriers will become more popular than Apple Pay–but don’t bet on it.